In June 1892, a thirty-year-old shoemaker named Homer Plessy bought a first-class railway ticket from his native New Orleans to Covington, north of Lake Pontchartrain. The two-hour trip had hardly begun when Plessy was arrested and removed from the train. Though Homer Plessy was born a free man of color and enjoyed relative equality while growing up in Reconstruction-era New Orleans, by 1890 he could no longer ride in the same carriage with white passengers. Plessy’s act of civil disobedience was designed to test the constitutionality of the Separate Car Act, one of the many Jim Crow laws that threatened the freedoms gained by blacks after the Civil War. This largely forgotten case mandated separate-but-equal treatment and established segregation as the law of the land. It would be fifty-eight years before this ruling was reversed by Brown v. Board of Education. Hardcover. Weep Not For Me, Dear Mother is a collection of the letters Eli Pinson Landers, a Confederate soldier in the Civil War, diligently wrote to his mother, Susan Landers, back in their home of Yellow River, Georgia. 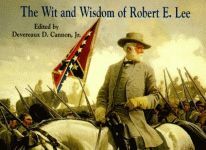 The book traces his life in battles at Gettysburg, Manassas, and Chickamauga among others. A charming tale of Christmas hopes and dreams—and of a mysterious man who can provide both for a divided family, Whittlesworth Comes to Christmas is Gerald R. Toner’s second book. It follows on the heels of his successful and acclaimed Lipstick Like Lindsay’s and Other Christmas Stories, and brings the genre of Christmas stories for adults to a new height. This book makes a powerful argument that the principles of Judaism, its laws, traditions, and commandments, are at odds with the realities of modern liberalism. Modern liberalism, with its reliance on the powers of government to solve all of society’s problems, its downgrading of the importance of morality and ethics, and its insistence that people are not really responsible for their own actions, is a distinct departure from traditional Jewish teachings. In this clever take on the traditional “Night Before Christmas” poem, a Texas Longhorn believes that he can guide Santa’s sleigh just as well as any reindeer. If a reindeer can fly, Willy believes a longhorn can, too. Despite the doubts of the other cattle, Willy will not give up on his dream. In this cleverly spooky parody of Clement C. Moore’s famous Christmas poem, the witches are up to their elbows in cobwebs and slime, making sure their witchlings are well prepared for their first Halloween. “Those children must get rid of that animal. Our wild brother, the wolf, does not change his nature. Can’t you see that the animal is part wolf?” the medicine man warned Cub’s parents. But Cub knew his pet better than anyone. He knew that even though Wolf was half wild, he was not a dangerous animal, and would never turn on those he loved. Cub’s parents had a different idea, however. They trusted the old medicine man’s intuition, and besides, food was scarce—too scarce to have a dog to feed around the house. Paperback.